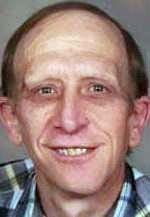 LA PORTE CITY — Michael Aaron Benorden, 59, of La Porte City, died Saturday, Nov. 17, 2012, at Covenant Medical Center, Waterloo, of respiratory failure. He was born March 28, 1953, in Waterloo, son of Aaron and Beverly Moore Benorden. Mr. Benorden worked many years at Thriftway as a butcher and then at Bertch Cabinet until he was put on disability. Survived by a brother, Larry (Deanne) of Knoxville, Tenn.; two sisters, Marsha (Bob) Meerstein of Pittsburgh and Paula Speirs of Grundy Center.